Returning to work after a career break is fraught with challenges. From deciding how to take the first step, to building the confidence to delve into your old contact book or working out how to start a new one, perhaps the biggest challenge you’ll face relies on rediscovering your professional identity. It is also the greatest opportunity for you to surprise yourself. A tailored re-launch package through my Coaching Program for individuals. As with most major life-changes, inertia, confidence and indecision are the hallmarks for this period of transition. Whether you are working on rebuilding a career or embarking on a new one, the tasks and tools I’ve developed for my relaunch programs have seen my clients move forward in astounding ways. With Valerie’s rare combination of high emotional intelligence, strong analytical skills and organizational knowledge, I was able to push forward even though I had questions. To learn how coaching can help you make the transition, contact me about which coaching program will suit you. Then, take the opportunity. Surprise yourself! 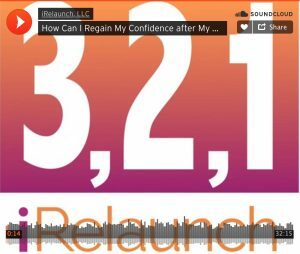 For a preview of how relaunch programs might work for you, click on the images below to access my guest podcasts and blog posts, which focus on some of the key hurdles we address when we embark on relaunching a career, and my interview on Relaunch Bootcamps. 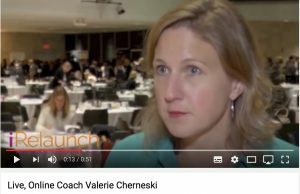 Relaunch Conference Interview: How Relaunch Boot Camps Achieve Results. Podcast: Free, 30 minute tutorial on building confidence, rediscovering your professional identity and rebuilding a career. 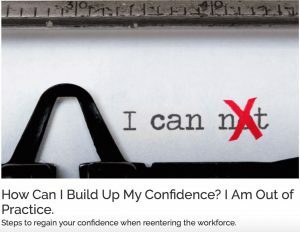 Guest Blog Post: Regaining confidence to rebuild a career. 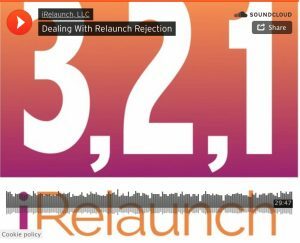 Podcast: Create a Rejection Strategy! 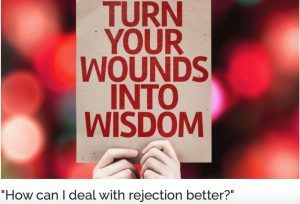 How to make sure rejection works for you, not against you. Guest Blog Post: Creating a rejection strategy.